(Scottsdale, Ariz.) 4C Medical Group, one of Arizona’s fastest growing physician owned medical groups, announced its expansion in to the West Valley with the acquisition of West Valley Internal Medicine / West Valley Urgent Care (West Valley Care). The three West Valley locations in Glendale, Surprise and Avondale, combined with 4C Medical Group’s five locations in Phoenix, Chandler, Scottsdale, Fountain Hills and Carefree, give patients across the Phoenix Metro area easy access to the practice and its eight ambulatory care locations. “Dr. 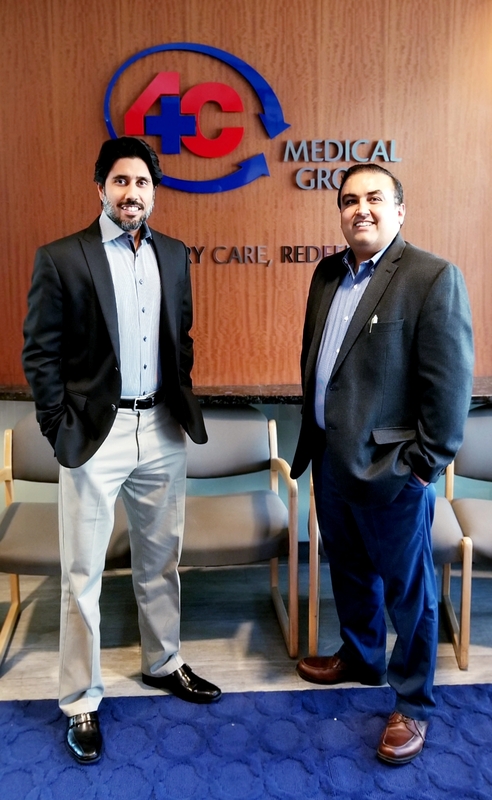 Sudeep and Jeevan Punia have built a successful practice over the last 25 years and we are thrilled that they have agreed to join 4C Medical Group. Our West Valley expansion is strategically particularly significant for us because it allows us to expand our service area to essentially the entire Phoenix Metro,” said Varesh Chaurasia, CEO of 4C Medical Group. The integration of West Valley Care into 4C Medical Group became official on October 26, 2018, and the full transition is expected to be completed by the end of 2018. Dr. Punia will remain the with the practice and will continue to assist with the transition.